Non je n'ai rien oubli?..." Quand le meilleur s'est retir? Dans une vie b?te ? pleurer..."
Font rena?tre sous leurs doigts ma folle jeunesse..."
Quand on ne s'aime plus..."
Ton regard transperce la chair..."
Et que le temps a d?vast?..." 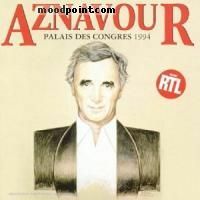 if you want to see other song lyrics from "Palais Des Congres 1994 (CD1)" album, click "Aznavour Charles Singer" and search album songs from the artist page. If you know some new information about Hier Encore, or other song from our site, that isn’t already on song page, please let us know, Any refinement, news, or comment is appreciated. If information about Hier Encore, or any song from moodpoint directory is wrong, please contact us and write where the incorrect data should be replaced by correct data. Use "Find Lyrics" box on our site, try to use different artist or (and) song title(ex: Hier Encore) word forms.